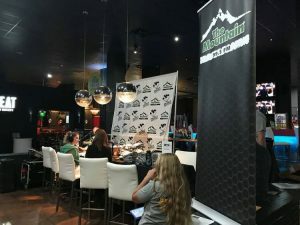 Project Sanctuary’s fundraising radiothon on Nov. 12, sponsored by 99.5 The Mountain. Douglas County Libraries recently donated nine pairs of gently used snowshoes for men, women and children to Project Sanctuary, a Colorado-based nonprofit that focuses on supporting military families through therapeutic programs that address the mental health of the entire military family, not just the soldier returning from service. The donation will allow Project Sanctuary to provide assessment and intervention programming, a six-day therapeutic outdoor retreat, and customized follow-up services for at least two years for the families it serves. The donated snowshoes were part of DCL’s eclectic collection of nontraditional items, things you wouldn’t normally think of checking out from the library. That list of items now includes sewing machines, ukuleles, drawing tools, microscopes and more. All you need to try them out is your library card and a sense of adventure. 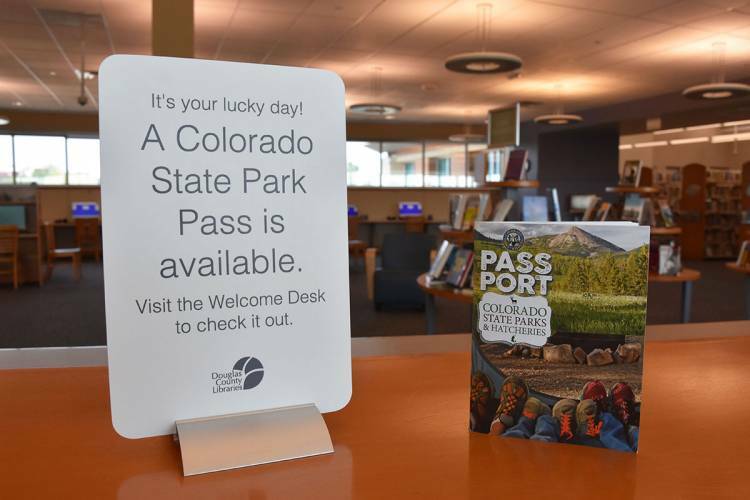 Check out a backpack containing a weeklong pass to any Colorado State Park. DCL also offers cardholders free access to art and craft video classes through Creativebug, passes to Colorado State Parks and museums, and more! Learn about all the ways you can use your library card here. And if you don’t already have a library card, what are you waiting for? Get a card here!